An attempt to reflect upon the qualities and spaces in nature, in particular the tree. At a micro level, the tree has many layers (roots, trunk, and leaves). At the macro level, the forest too has numerous layers (ground, understory and canopy). The structure of the tree branches out from the ground into the sky. 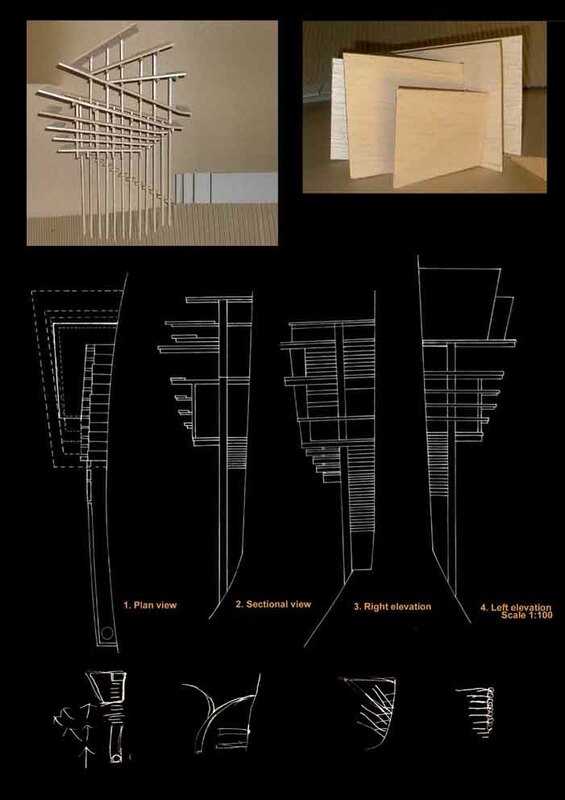 As such the strategy of this design consists of the layering and branching out of both space and structure. The site is modeled after the Fairy and Wind cave in Sarawak, East Malaysia. The pavilion is located on a cliff, accesible only by going through the cave and climbing out to be sandwiched by the face of the cliff and a concrete wall. Like water channeled up the roots into the trunk and into the leaves, people are brought through spaces whose view branches out, along with the spatial experience within. This is creating by a structure that is tiered and branches out structurally. This pavilion serves as a viewing platform and also acts as a transition from the ridge towards the top of the hill. 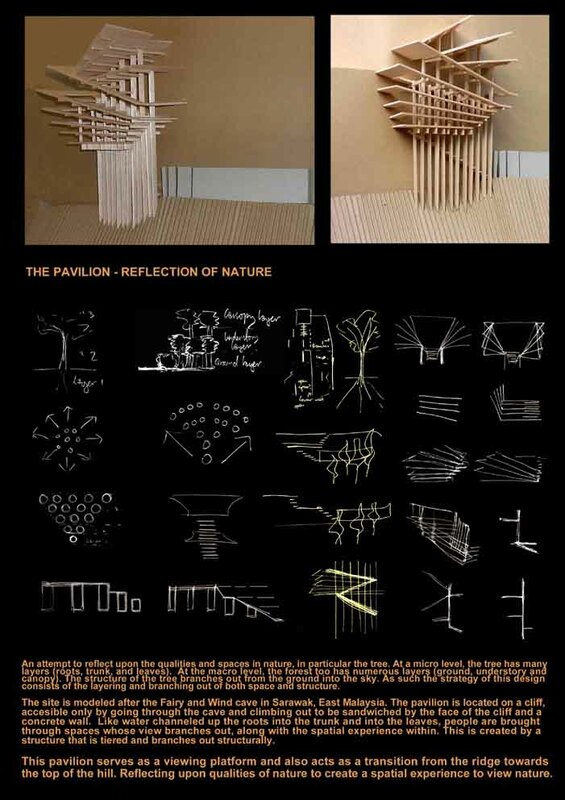 Reflecting upon qualities of nature to create a spatial experience to view nature.